Merchants do not seem very optimistic for the winter sales that begin Wednesday, January 9 and last until February 19. This supposed strong time of the trade, where the stores are allowed to sell at a loss, should not compensate for the slowdown year after year of the consumption, in particular textile, nor to make up for the shortfall of the end of the year due to the gatherings of yellow vests ". "At best, the sales will be the same as in 2017 when the decline was between 4 and 8% according to businesses compared to January 2016"says Eric Mertz, president of the National Federation of Clothing (FNH), which includes 35,000 companies, of which 93% have less than 11 employees. "This movement of " yellow vests ", which highlights the territorial divide, has created in the minds of the population a feeling of fear and guilt to consume too much ", he continues, stating that the companies of his federation have registered "A decrease in turnover of about 20% in December, compared to the same month of 2017". 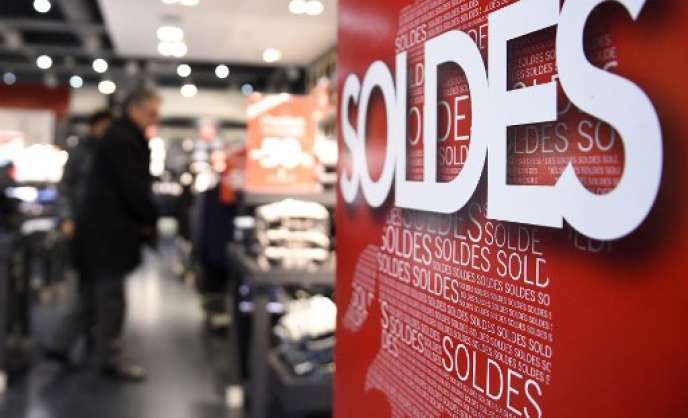 Attendance at shopping centers in 2018 fell 1.7%, according to the National Council of Shopping Centers (CNCC) index, because of the "yellow vests" movement that took "A very negative effect on end-of-year revenue", but also an unfavorable weather in July and September. In this context, Francis Palombi, president of the Confederation of French traders, had asked, at the end of December, that the balances be advanced to January 2nd. This triggered an immediate outcry from other federations of traders who considered this proposal unreasonable both logistically and economically. "Advancing balances is preventing traders from selling at the right price products they have not been able to sell in recent weeks, it's amputating their revenue gains that they will need to keep up with the current social crisis ", said Mr. Mertz. This idea, relayed massively by the news channels, would have even jostled the habits of some consumers. "This year, I recorded a 40% drop in activity between Christmas and New Year's Day when, usually, many still make their purchases for the holiday season.says Mertz, head of three clothing stores. Some even phoned to know if because of the advancement of the sale date, we were not already on private sales. ".